No, this one's REALLY final. Mighty No. 9 has yet another release date – and supposedly, this one's final. Creator Keiji Inafune said in a blog post that the Mega Man spiritual successor has "gone gold," which would indicate development is finally complete on the long-delayed project. 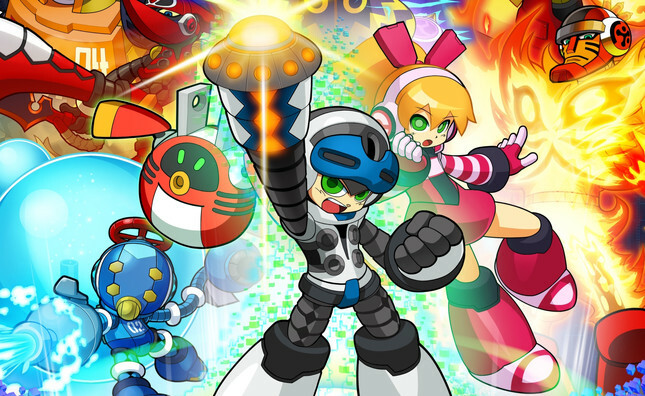 "I would like to say again how sincerely sorry we are for how long we have kept all of our fans waiting," wrote Inafune. "We understand that as a result of the various delays we have disappointed and let down our fans, but we are happy to finally be able to deliver the game to everyone who brought us this far." Originally announced for September 2015, it was then delayed to sometime in 2016, before being given a February 2016 date, then delayed again. "This is a project where everyone's passions were combined in order to create something very special, and we are looking forward to delivering the final product to everyone who was involved. There can be no stronger connection between game creators and game fans," Inafune wrote. That connection began back in 2013, when Mighty No. 9 raised over US$3.8 million in Kickstarter funding. Mighty No. 9 will release - barring any further delays - on June 21st for PC, Mac, Linux, PS3, PS4, Wii U, Xbox 360, and Xbox One, with 3DS and Vita versions available later.